In a previous post, I alluded to the important matter of the marks of the church. Historically among the Reformed, these have been considered as Word and sacrament. Some have added a third mark, that of discipline, but I think this represents a small but significant confusion. This is a fallen world, which means that if you don’t have discipline you won’t have Word and sacrament for very long, but you can have them. Word and sacrament are what constitute the garden — discipline is the fence around the garden. To use the classic terminology here, discipline is part of the bene esse of the church, not the esse of the church. If we try to make it the part of the church’s esse, we can make trouble for ourselves. Discipline, by its very nature, focuses on boundaries, fences, gates and doors. Lettuce grows in the middle of the garden, and the fence edges the garden. The only thing the fence cares about is marking the line between the deer zone and the no deer zone. Of course, we must discipline. The edge is important. It is the duty of a priest to guard the perimeter of the sacred space. But we must not be all about discipline — lest we find ourselves with a garden that is nothing but fence posts from one side to another. If we are all about discipline, we become consumed with the exact edges. 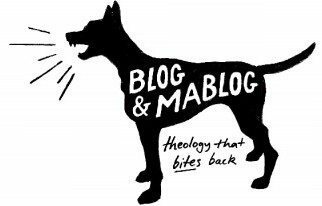 But as Paul Avis points out in his fine work, The Church in the Theology of the Reformers, we do not recognize our friends by trying to determine the precise end of their shoe laces. If we are trying to recognize someone, we always look at their face. Define from the center out. What is a Christian church? The answer is wrapped up in Word and water, bread and wine — faithfully preached, faithfully administered, faithfully received. But notice that this just pushes our problem back a step. What is the Word? What is a sacrament? We don’t get very far if we try to find the edges of those and work our way in. Go the other way. Try to answer these two questions. What is the gospel? What are the edges of the gospel? I can answer the first — Christ crucified for sin, buried in accordance with the Scriptures, and raised again for our justification. What are the edges of the gospel? Are the Arminians in or out? The Jansenists? What about the monophysites? All this is preliminary to a point that the New St. Andrews statement of faith raises. Let me quote a chunk of it, and then go back and quote the key sentence. Take particular note of that last sentence. 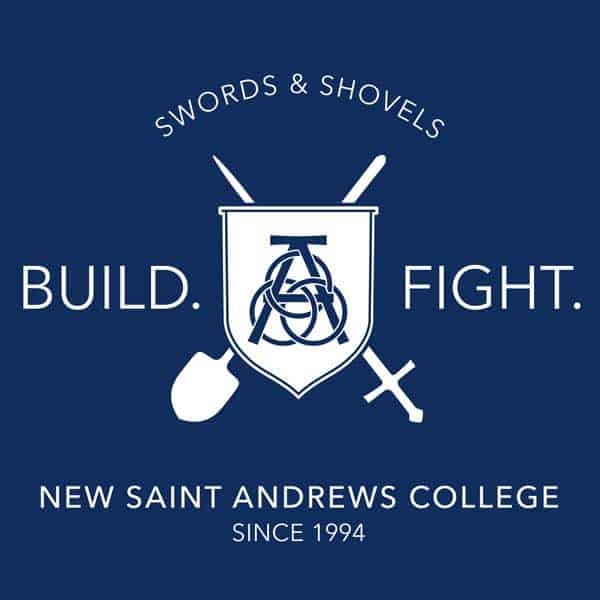 At New St. Andrews, we strive to instruct our students in the light of a faith that is thoroughly Trinitarian, solidly Protestant and Reformed, and robustly evangelical. We do this because we believe these emphases to be true. When we want to identify Word and sacrament in a Protestant way, which is to say that we want to identify the church in a distinctively Protestant way, we look at the face. We do this by confessing that the historic Protestant statements are the best available summaries of what Scripture teaches. So we start there, working our way out, constantly checking our work against the template of Scripture. This does not bypass Scripture. This does not diminish the authority of Scripture. This in no way violates sola Scriptura. If you believe that it does necessarily bypass sola Scriptura, then you are a restorationist and not a historic Protestant. In other words, you think the true church died with the last of the apostles and did not reemerge until the early 19th century somewhere in Kentucky, in possession of a mysterious black leather-bound book that had come from places unknown. By way of contrast, a historic Protestant view of church, of Word and sacrament, is truly liberating. We can see the church of Jesus Christ sailing down through the entire course of church history, and we can recognize it as His beloved ship. We don’t have to count all the barnacles first. Neither do we have to deny the existence of the barnacles. There be huge difference in saying those creeds do “fully and accurately summarize” Bible, vs “most” fully and accurately summarize. That “most” compares the extraBiblical Protestant & Reformed vs other schemes. Take out the most, and you’ve gone Romanesque — with church equal to Word. PerfectHold, I agree. The most needs to be there, and is in the official version. Don’t know what happened on the page you cite. The RCUS denomination insists its members & ministers attest that the 3 Forms do accurately summarize Bible. Now, do you know Bible well enough to know that ANY fallible document has accurately summarized it? To be recognized as having the mark of a true Member in denominations such as the PCA, one must swear to be disciplinable. Imagine that. You must swear to obey the Bible to be recognized as a professing believer. Which excludes your babies, Jane. Yes — being baptized by the Spirit, saved by His grace — not enough. You need to submit to PCA’s version of circumcision. But circumcision is Biblical, invented by God, is it not?! You’re right, it’s absurd to require that those who profess to follow Christ and have His Spirit are willing to obey Him on any particular point, like, say, Hebrews 13:17, in order to judge that profession as having substance. What was I thinking? Jane — it is indeed absurd and hurtful to require this as the basis for recognizing them as brothers. Absurd and self-contradictory to recognize them as professing Christ (requiring THAT attestation is Biblical), and then say that they must also take extra-Biblical oaths in order for their profession to be officially received. no believers have to be circumcised. It is not biblical to require that. All believers have to submit to their leaders. It is not biblical NOT to require that. The vow is merely a public statement of one particular thing that is required anyway. I made up Hebrews 13:14? Publicly professing that you’re going to obey Jesus is an additional hoop? Please share how Hebrews 13:14 or Hebrews anything for that matter says that a public oath of obedience is necessary or even expedient in recognizing who is or is not in Him. Hebrews 13:14 doesn’t say it’s necessary or expedient to make a public oath to obey. It says it’s necessary to obey. A public oath to do something that is necessary to do, can be expedient, without it truly being an “additional requirement.” The idea that making a vow to do something is some kind of additional burden, when the thing you are vowing to do is an absolute requirement whether you make the vow or not, is not sound. If it is required, then it is a requirement, right? Does a shepherd have the authority to define who is a sheep by virtue of whether that sheep answers an extra biblical question? I might be working from a different version. My Hebrews 13:14 talks about our continuing city. Is that “obey” where you’re coming from? I think you left out the word “apparent” from the last clause. None of us can know anything but the nearest temporal effects of discipline on an individual or our congregation. But might there have been a weak believer saved from sin or unbelief, or a strong believer dabbling in sin brought up short? It may take the last day to show what the true effects of our faithfulenss have been. There could also be the removal of an influence that other people found so off-putting, and the fact that inappropriate behavior was known and tolerated so off-putting, that they left the church altogether. You can have mercy on a person, and counsel and help and scold and encourage and monitor, and meanwhile the behavior goes on and on, affecting other people who never asked for it and didn’t want it. At some point you have to consider the whole congregation. Every pastor who shuns discipline, shuns love. You are, of course, correct, and leaving evil as the status quo is just sitting there with a case of leprosy and doing nothing about it. It’s eating you the whole time you pretend it’s not. But the practical pastoral problem comes in when you try to establish it after (in my denomination) several decades of neglect. People in their 70s had never heard of such a thing. For such people, this was like going fishing with dynamite. Though I’m pretty sure discipline feels like dynamite whether you’ve never felt it before or been surrounded by it. The issue behind its lack is probably “pastors” more interested in being admired & preparing & delivering lectures, rather than in sheep development. That could be the case sometimes. Then again, there comes a point when uprooting the tares really does kill a lot of wheat. You’re right — loving fathers sometimes fail to discipline because we’re afraid to hurt them too much and cause more damage than help. Failure to discipline is never the loving choice, though of course loving fathers are not infallible. It’s just that discipline can take many forms. You’re defining it too narrowly if you think there’s ever a time not to do it. Aren’t you positing that a church may hate her sons while bearing the marks of a true church? Hate their own? — you mean like the leaders of the church that were castigated by our Lord for causing the little ones to stumble? Many a church leaders has done this since the beginning. 3. It practices church discipline for correcting faults. This is insightful. Prayer is a metonym for all of worship. And prayer must be regulated by the Word. Andy by the Word, you mean Christ, not just the Bible? And Christ speaks not just through the words He wrote there, but through the speech He pours out in all the world around us, if we had ears to hear? Distinctions must be made in the use of the word “Word.” Christ is the Logos or Word of God in the sense of being God, as well as revealing the Father. The Bible is the Word of God, but it is not God. So we also need special revelation to hear the specifics in the Bible? No, the Bible is special revelation. If by “hear” you mean “believe and obey,” that is enabled by the Holy Spirit. The enabling can be called either “revelation” and “illumination,” but it is additional to both general and special revelation. Professor John Frame has a helpful comment on Rom 1:18-21, in an article on how unregenerate people still know God. I’m unclear how nonBible is any less miraculous or special? Is something less a direct creation? So the Bible’s specialness is what then, compared to, say, a bird? Both are direct creations of God, yes? Both display volumes about what & who we are, yes? Looking at either, If you had Spirit-enabled eyes-to-see, you’d understand the truth about life, right? In other words, they’re both sources of true & accurate information about God & the world & ourselves. I assume you’ll say that the Bible gives us more detail. But without the Spirit working through either, detailed info doesn’t help, right? Yet WITH the Spirit working through either, He can save you, right? If salvation comes from knowing about Jesus, can infants in the womb know about Him? Did Abel know about Him? A prophet once told us to look at how some things must die before they can rise again. 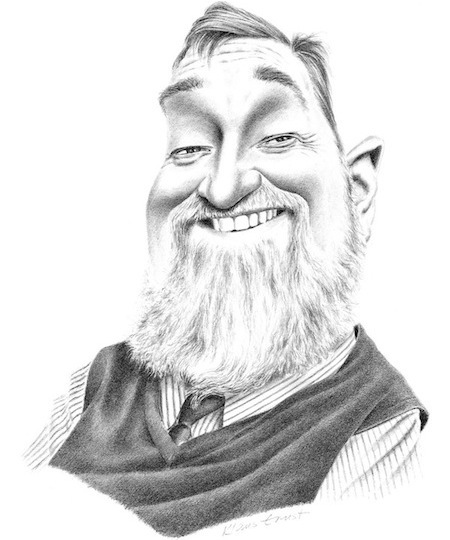 john k — can one who is sinful and clouded in thinking really know enough about Jesus to attain salvation? Were you able to gain salvation by knowing enough about him?